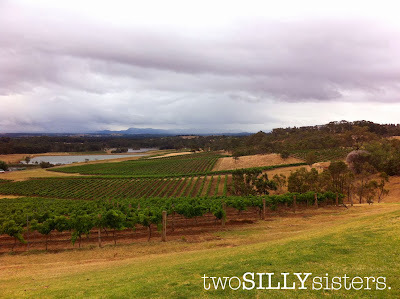 The Hunter Valley, also known as Wine Country, is a foodies dream of delectable food, scrumptious cheese, and of course vineyard after vineyard of good wine! Just two hours north of Sydney, it is a perfect weekend getaway. 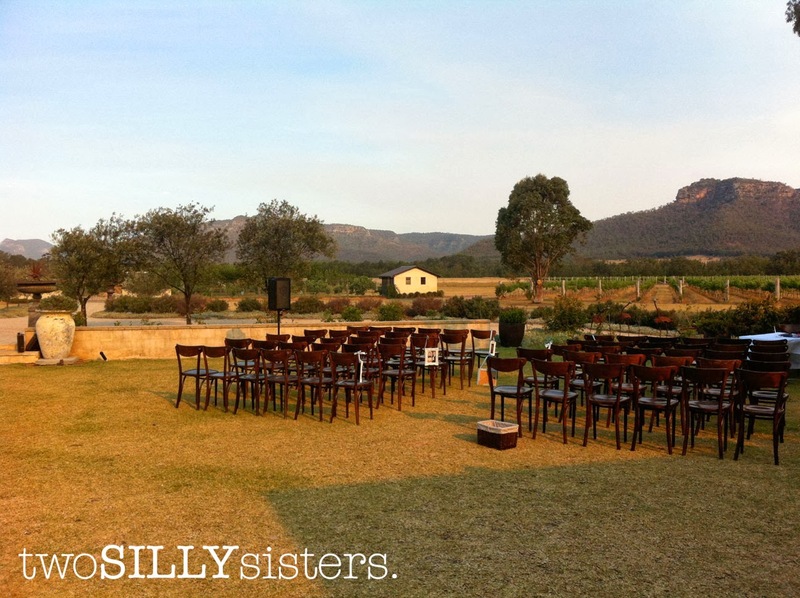 We were lucky enough to have a very special reason to visit the Hunter Valley this time – for our dear friends wedding! The wedding ceremony located in the Margan Estate garden. 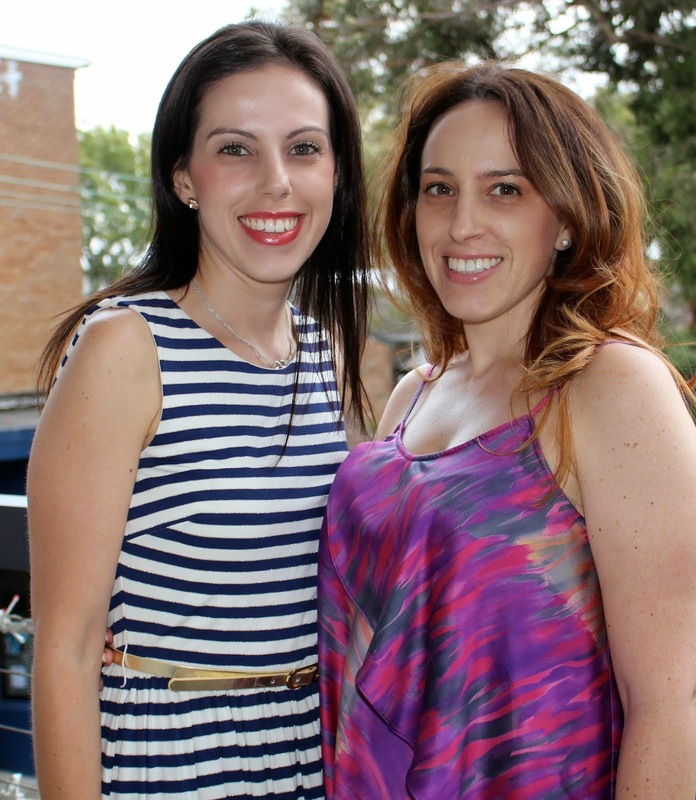 The wedding was held at Margan Estate located in Broke, about a 30 minute drive from Pokolbin. It was the perfect location for a wedding – the ceremony was outside in the garden overlooking the picturesque vineyards and then the reception was moved indoors to the barrel room. 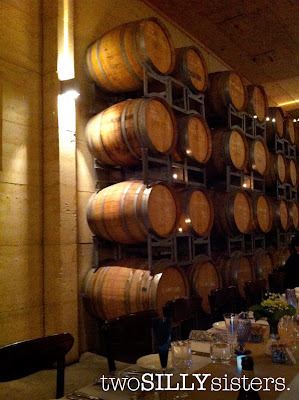 The guests (including the bridal party) sat at two very long tables surrounded by wine barrels on either side of the room. The decorations were vintage and the details were immaculate. 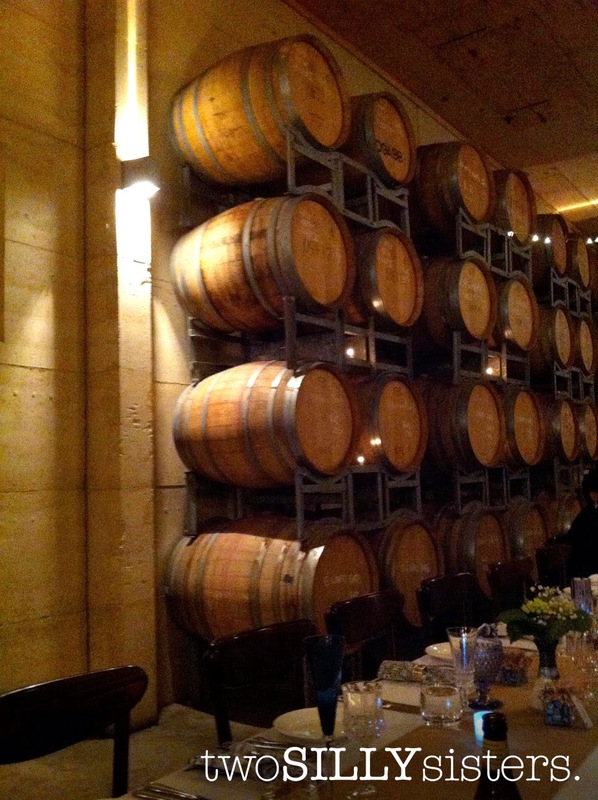 The reception held in the barrel room. As I sat down I was welcomed with a serving of gluten free bread. This was a nice surprise, as I do not usually expect this from wedding venues. The staff was well educated in gluten free dining and majority of the food was naturally gluten free anyway. 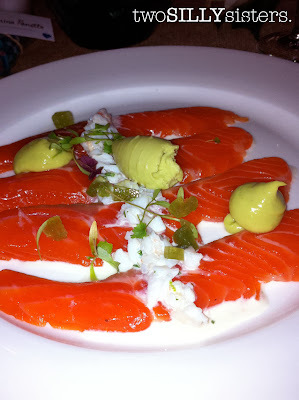 For entrée I had the lightly cured ocean trout & spanner crab, served with native lime and avocado. Gluten free ocean trout & spanner crab. 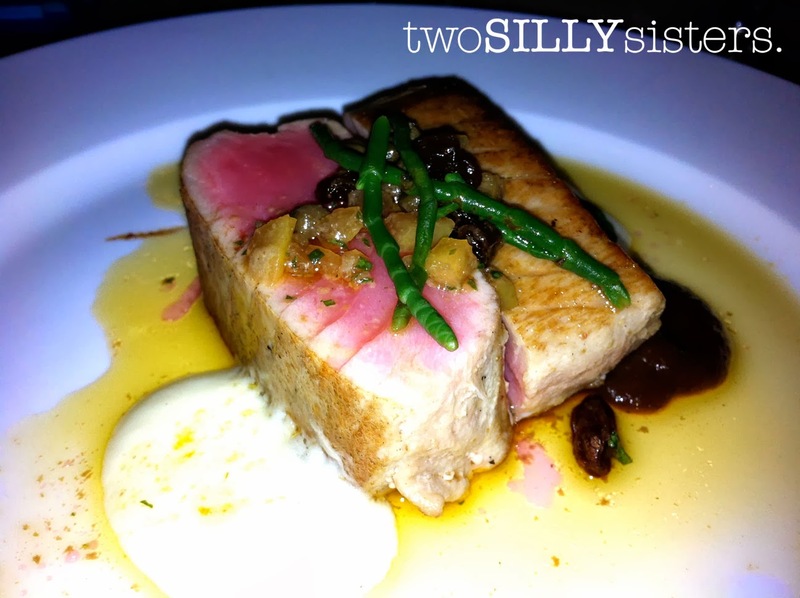 For main I was served the seared yellow fin tuna with capers and preserved lemon. As both the mains were gluten free I was also able to have a taste of my partners meal of the braised beef cheek, which was amazingly soft and melt in your mouth. Gluten free seared yellow fin tuna. The food and service was fantastic. Margan estate wine flowed throughout the night, speeches were made and the dance floor was full as the salsa band played their tunes. We danced until our feet were sore (with many heels being thrown off) and the pick up buses summoned us to an end. All in all it was a beautiful wedding. Congratulations Steve and Steph…Cheers to a lifetime of happiness together! 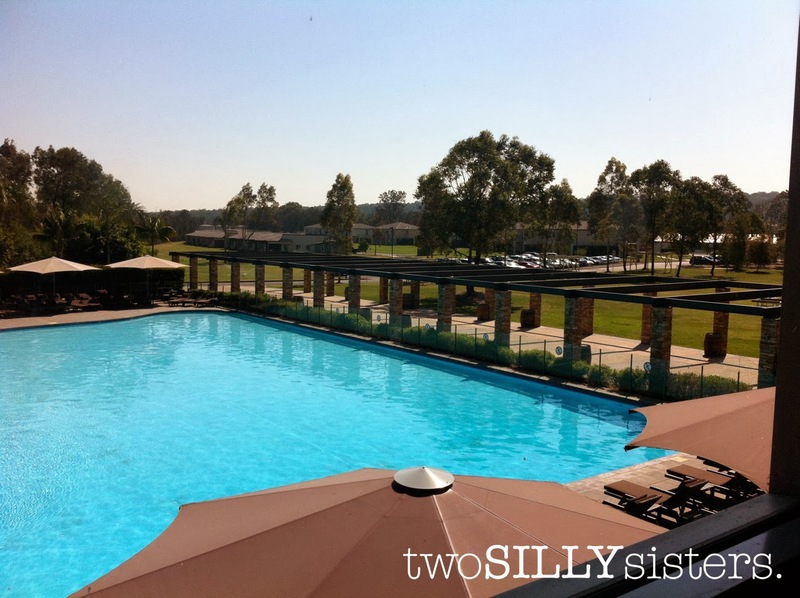 During our stay at the Hunter Valley our home was the Crowne Plaza. 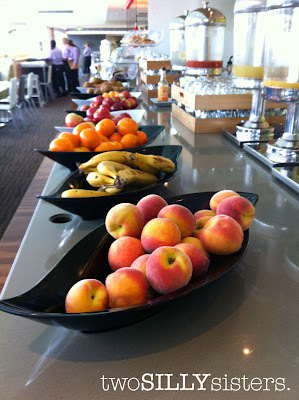 There are two main restaurants at the hotel, and both are very helpful with gluten free dining. Gluten free pizza from Grapvine at the Crowne Plaza. 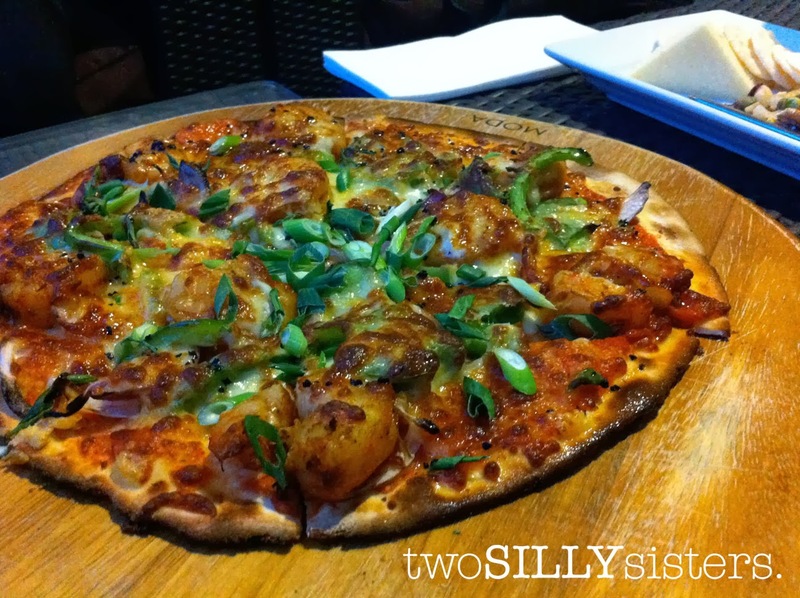 Grapevine offers gluten free pizza bases at no extra charge! Now that’s a first! We also indulged in a beautiful gluten free cheese platter, served with a selection of cheeses from the local “smelly cheese shop” – triple cream brie, vintage cheddar and a very smelly blue, served with gluten free crackers and a fruit chutney. A selection of cheeses from the Smelly Cheese Shop. The second restaurant at the Crowne Plaza is Redsalt – open for breakfast, lunch and dinner. The lunch and dinner menu is marked up with gluten free (GF) symbols and all grill items can be made gluten free – just ask the staff. 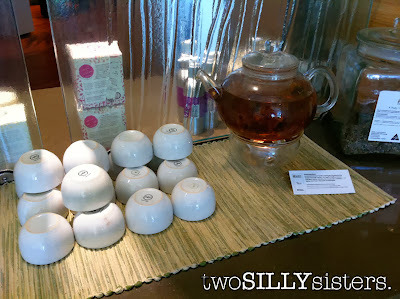 The buffet breakfast is also served at Redsalt and the staff was fantastic at showing me around and letting me know all the gluten free options available. 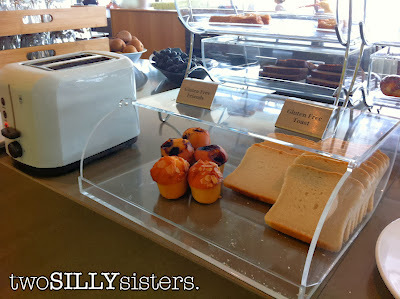 My favourite part of the breakfast was the gluten free bread with a SEPARATE toaster to avoid cross contamination! 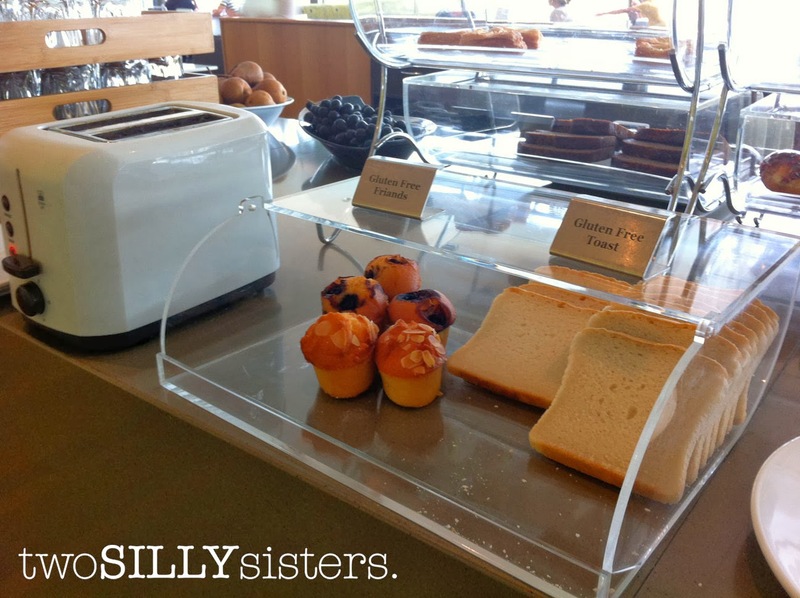 The buffet offers an egg bar where you can order your eggs anyway. 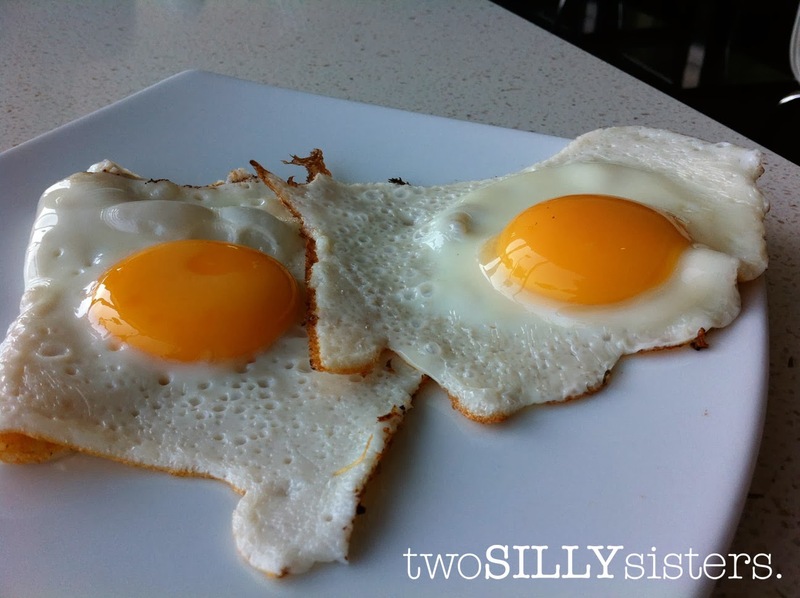 But be sure to inform the chef of your allergies as some egg mixes may contain gluten. There was also your standard hot buffet selection of bacon, mushroom, tomatoes, etc and a cold selection of fruit, yoghurt and cheeses. Separate packaged gluten free muesli is also available. And for those of you with a sweet tooth there are gluten free friands to end the meal – of course I couldn’t resist! Not far from where we were staying were the Hunter Valley Gardens, where we found a great eatery (with a big cow at the front!) called Taste Of The Country. 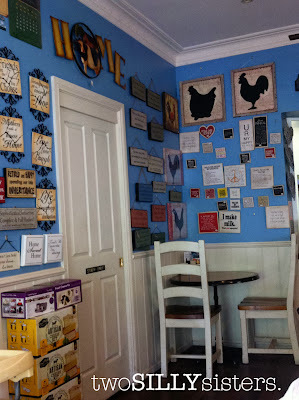 Cute signage on the wall at Taste Of The Country. There are lots of gluten free options and the menu is marked up with GF symbols. 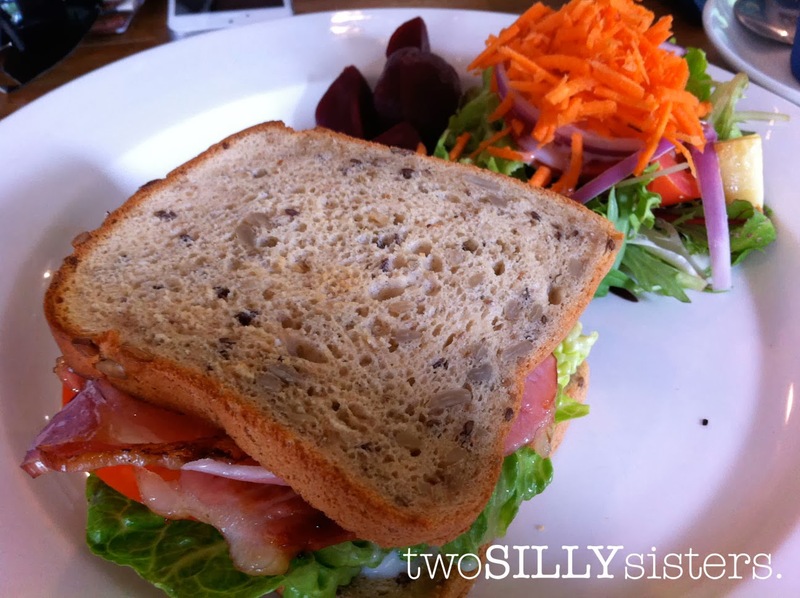 I ordered the BLT on gluten free bread. Hungry after yet another wine tasting we checked out the Blue Tongue Brewery Café. 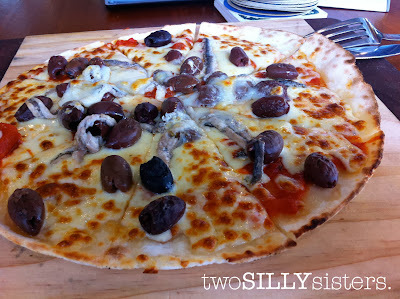 I couldn’t go past the gluten free pizza with white anchovies, olives and Parmesan cheese on a Napolitana base. Delicious gluten free white anchovy pizza. 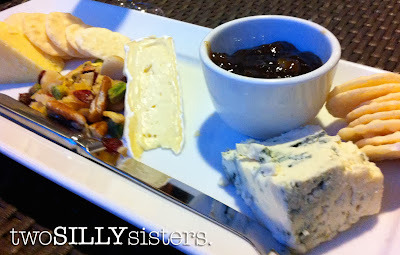 On our last night in the Hunter Valley we decided to really enjoy the quality food of the region and check out Restaurant Botanica voted 2011 / 2012 Winner 'Best Restaurant in a Guesthouse' - Hunter Region Restaurant & Catering. 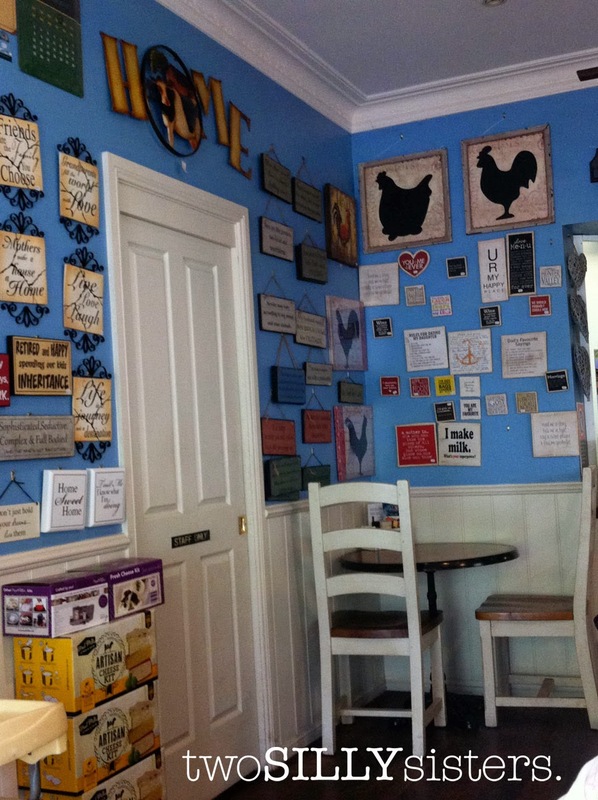 All I can say was this was an amazing gluten free dining experience. I would like to dedicate a standalone post to this one so keep an eye out for our next one! (Or sign up to our feeds on the right to make sure it comes direct to your inbox). Before our drive home we snuck in one last yummy meal at the Royal Oak Hotel, 221 Restaurant. Although the exterior of the hotel may not look like it, the food was fine dining quality. For starters we shared oysters made three ways. 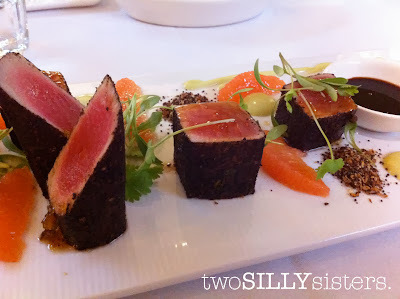 For main I ordered the blackened spice yellow fin tuna with toasted sesame seeds, served with wasabi mayonnaise and organic soy (guaranteed gluten free by the chef) and garnished with ruby grapefruit and micro coriander. 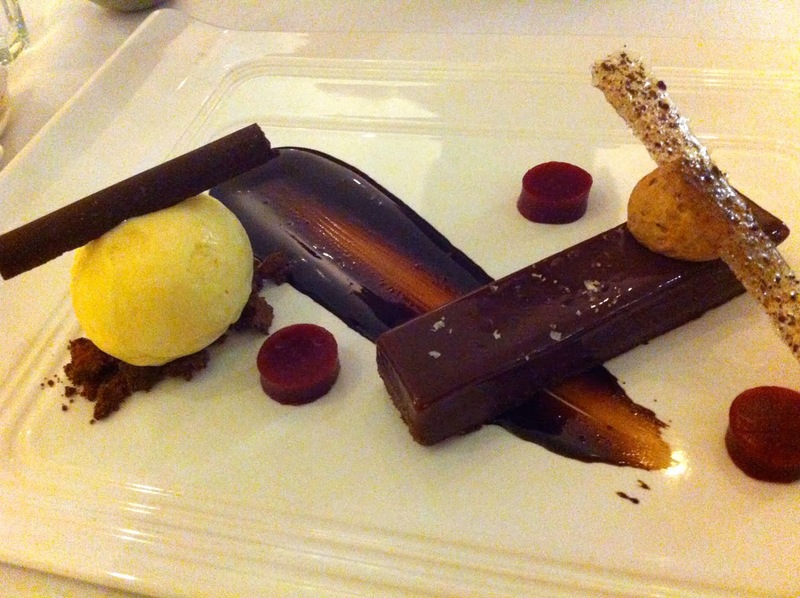 To end off the meal I couldn’t go past the gluten free salted milk chocolate caramel served with peanut butter ice-cream, raspberry jelly and bittersweet chocolate. Absolutely divine! What a wonderful, relaxing and uplifting weekend full of delicious food, great wine, fantastic company and lots of happy memories. 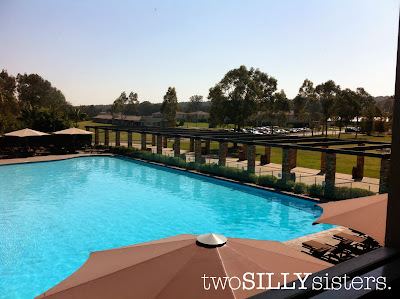 I hope you enjoyed reading about my gluten free dining experience in the Hunter Valley and it has enticed you to book a weekend away! 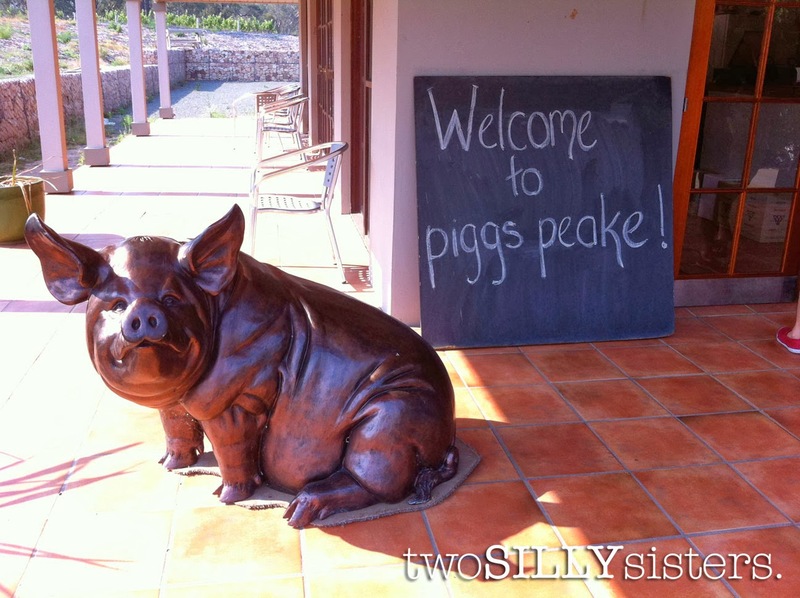 Fantastic wine at Piggs Peake vineyard!